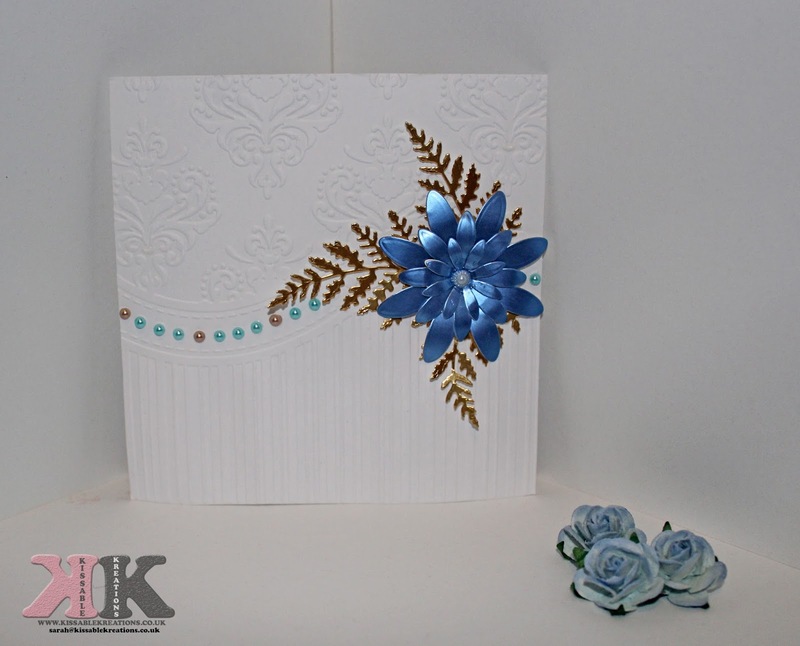 Today i have made another care using my All-Occasions 'That Folder' embossing folder. Its one of my most favourite folders to date so you will be seeing a lot more of this folder. *First you need to select your card. I chose to use a plain white card. *Time to emboss. I used the All-Occasions 'That Folder' for this. All i did was run the actual card through my To-Do machine and made sure i emboss the entire card. *Next i added the pearls to the card. If you have the embossing folder yourself you will understand when i say i added this to the emboss bits of the boarder as you can see in the photograph. *The foliage came next. I had these pre cut from a friend. I just added 3 of these to the card in gold. *The flower on top came next. Its from the Sara Signature Collection. 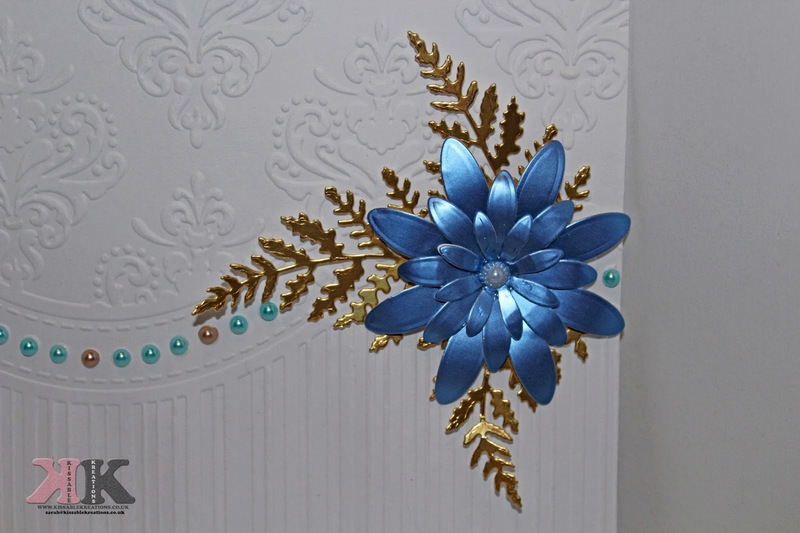 I added this to the right of the card on top of the foliage. I left this card open as im hoping to start selling my cards soon so when it has been sold i will then ask the buyer is there is a certain name or sentiment they want adding. You can make these cards in and colour, Its entirely up to you. Let your imagination flow. What card would you like to see next? What a gorgeous design I really love the colors you went for. Oh wow this folder has such a beautiful design and its great to see that you made it yourself, you're super talented! wow, you are so creative and talented. I look forward for designs for bridal shower. That's lovely! I really like the flower/foliage colour combination.